Marvel at the horror that is the Fluffi-Wan Dance (opens in new window), courtesy of The Militant Princess. 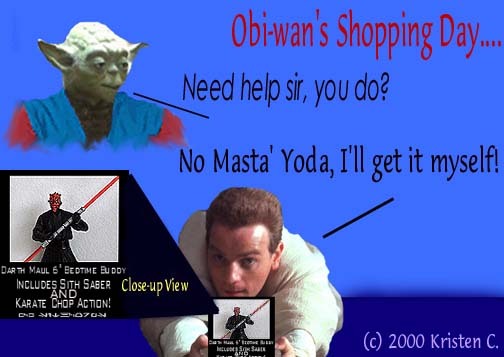 Or check out the Sith Academy Relationship Map by Mimi (15 KB). 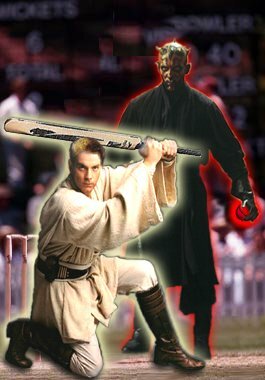 Cricket, Force-style. 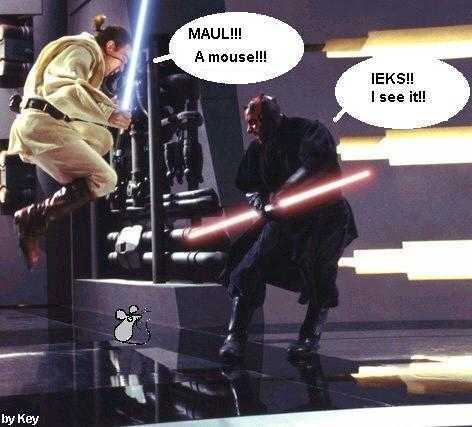 Image courtesy of Jillari [no valid email address]. 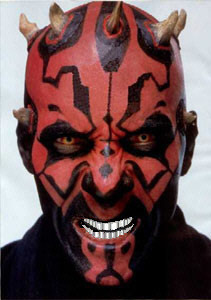 Maul after his various dental/Perkium adventures. 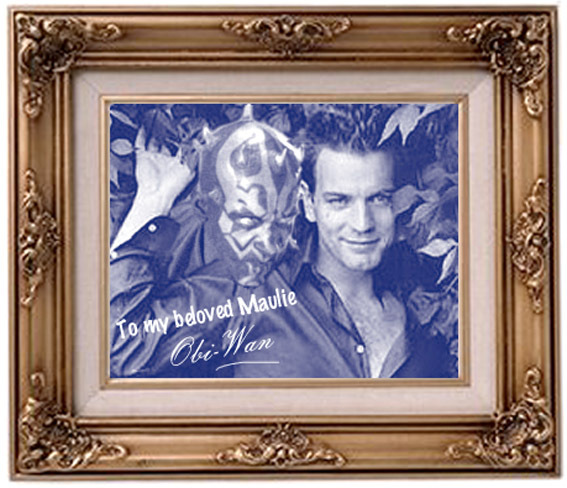 Image courtesy of Jayne. 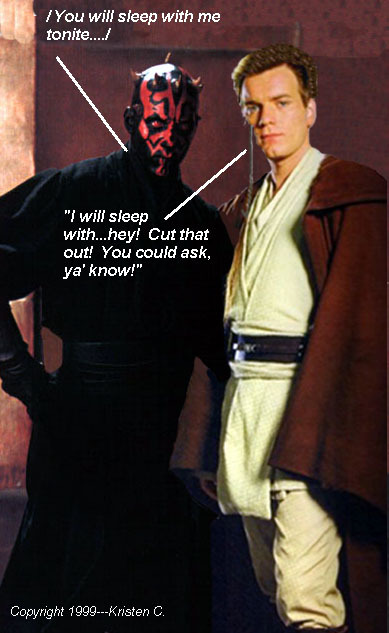 From Maul's bedside table. 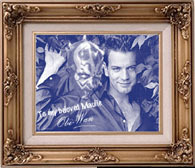 Image courtesy of Akane [no valid email address]. 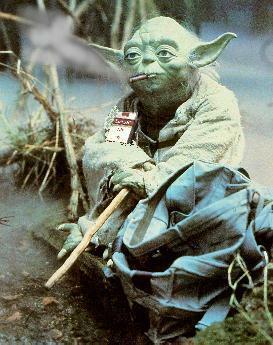 Yoda kicking back and relaxing. 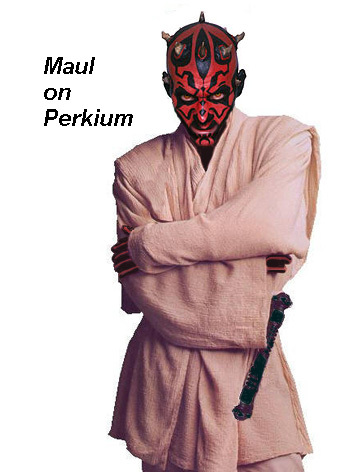 Image courtesy of Matthew Hall. 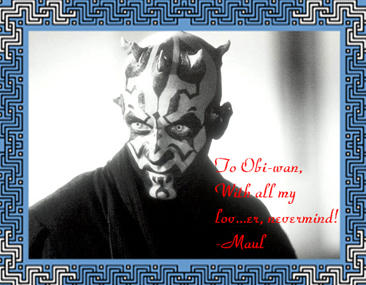 Obi-Wan gets sentimental. 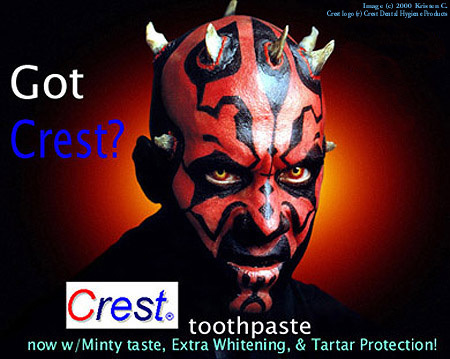 Image courtesy of Sith_of_all_Trades (formerly Darth Desire). 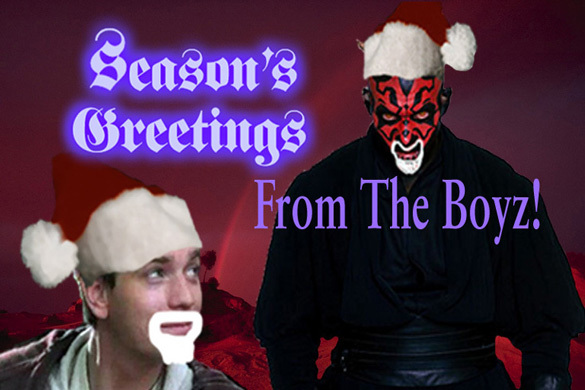 She's also sent in Maul on Perkium (85 KB), Maul gets fresh (82 KB), A Sithmas Card (115 KB), Obi-Wan's Shopping Day (64 KB), Framed (138 KB), Qui-Gon and Maul (80 KB), Got Crest? 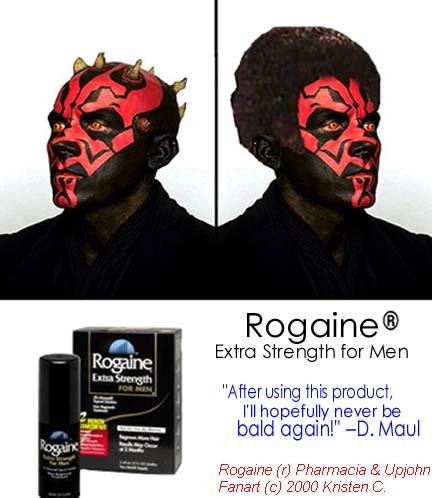 (109 KB), and a Rogaine ad (80 KB). 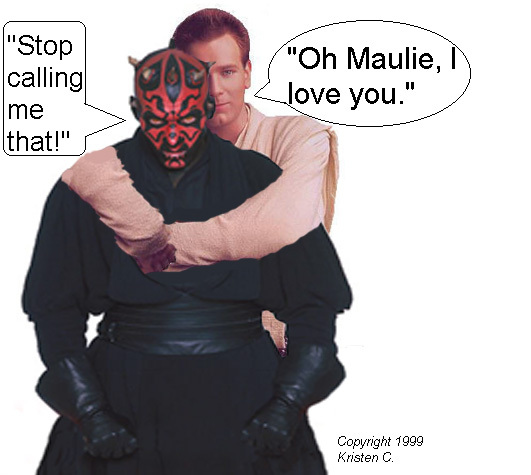 Maul getting ready for a Friday night at the Gray Side. 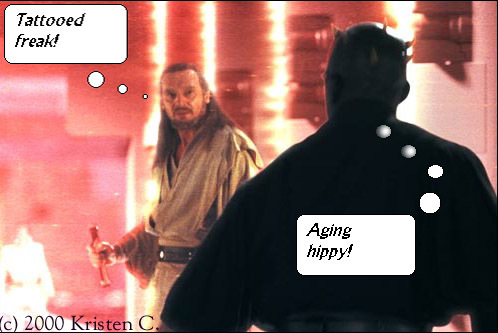 Image courtesy of Movie Lady [no valid email address].